Place the pita breads onto two oven trays. 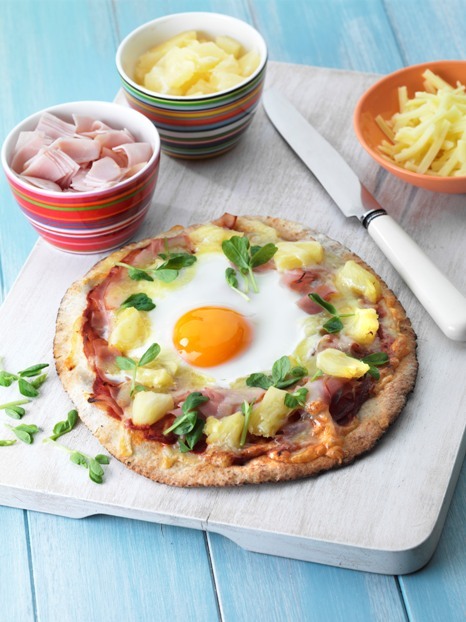 Spread with pizza sauce, and arrange the ham, pineapple and cheese onto the pita, leaving about an 8cm round space in the centre. Carefully break an egg into the centre of each pizza. Bake for 15 minutes, until the egg has set and the base is crispy. Serve with salad.